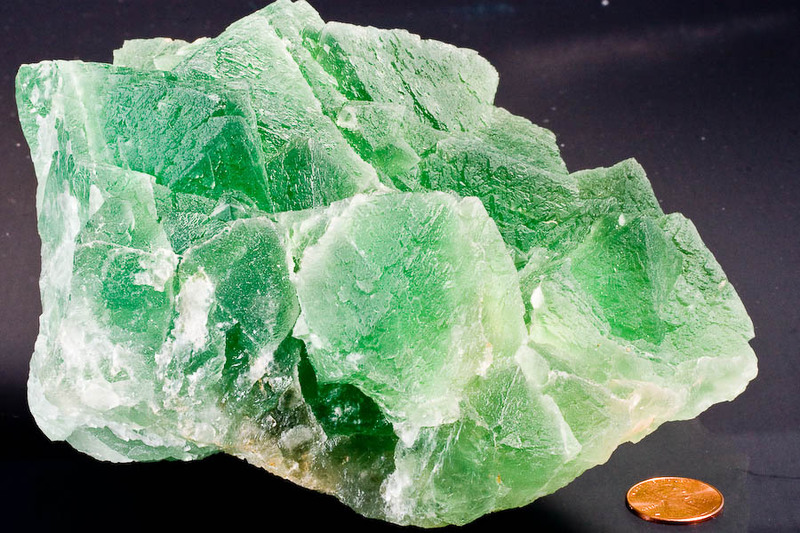 Comment: A cluster of HUGE octahedral crystals of rich green fluorite - of a color similar to the bright green of some familiar New Mexico fluorites, not the "washed-out" green you get from some Chinese localities. These sharp crystals, tightly intergrown, measure to over 5 cm along the middle axis! This specimen is SOLID fluorite crystals - no matrix. The crystals are in great condition - the contact is on the bottom and back, and there is no damage to the display area! A sizeable and very showy fluorite specimen!